The distinguished collector Gaston Baconnière de Salverte (1827-1886) married the daughter of the banker Pastré. 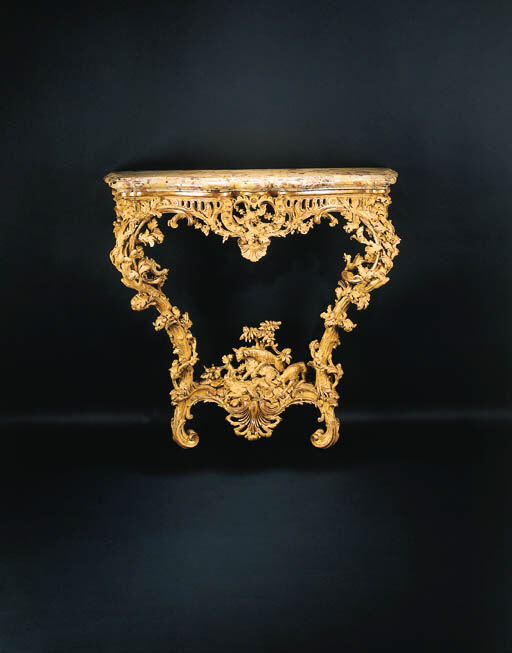 deux consoles Louis XV en bois sculpté prisées 1600fr. The high price linked with the fact that they were not gilt and that they are the only consoles listed supports the view that the pair of consoles in this lot were indeed the ones in his bedroom. They do not appear in the inventories of either his parents or his grandparents and it is therefore probable that he bought them.